With SurvCE (for Windows Mobile) and SurvPC (for Windows) you are using the most flexible software on the market to get your work done in the most efficient and productive way. 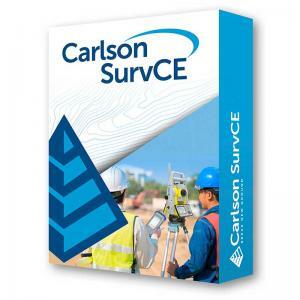 Carlson SurvCE and SurvPC are combining advanced functionality, ease-of-use, and sheer capability with excellent service and technical support to make it surveyors’ first choice in data collection software. This complete data collection system for Real Time (RTK) GPS and total stations with in-field coordinate geometry supports the widest range of popular and new release RTK GPS and conventional/robotic total stations.